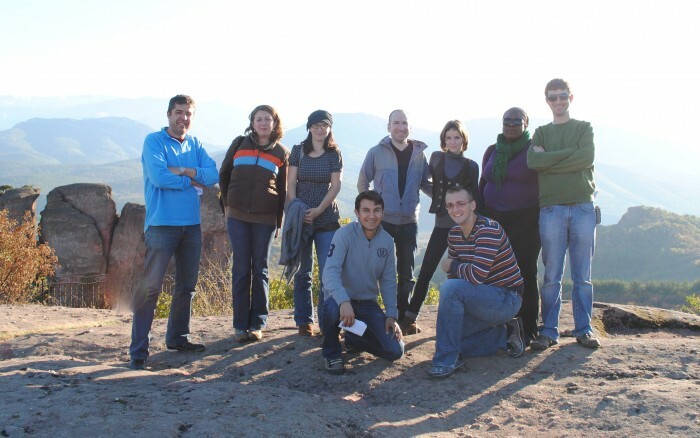 The American Research Center in Sofia offers several academic excursions for ARCS Fellows during the academic year. There are normally two 4-6 day field trips each semester in Bulgaria and neighboring countries and one weekend excursion. We offer two kinds of excursions, "thematic" and "geographic". The "geographic" excursions are the most common - we visit a number of sites within a given region and discuss a range of chronologies, monument types, museums and cities. In a single day, we might visit Thracian tombs, a medieval monastery and a communist period monument. "Geographic" excursions are intended to present ARCS Fellows with a historical and cultural overview of a given region; at the same time we experience daily life in cities and small towns - like walking through National Geographic Magazine. On some occasions, we organize "thematic" trips - for example, in Sept. 2012 and 2013, we spent a weekend visiting sites relevant to the Bugarian national revival. In addition to the stunning regions of Bulgaria, ARCS has visited Greece, Turkey, Republic of Macedonia, Serbia and Romania. Friends of ARCS and Visiting Scholars are invited to accompany us on excursions. Please ask about availability and cost.